The perfect project for Spring! Wrap the brown floral wire into a circle, roughly 12 inches in diameter. Continue wrapping the wire into more circle loops twisting the wire around the previous loops occasionally at random intervals. Separate sections of the wreath pulling some of the loops tight at spots and loose at others to spread the wire out. Straighten the wreath into a circle and bend it to lie flat against the wall. Cut with a template or punch large, medium, and small butterflies from pages of the Watercolor Ombre Paper Stack. 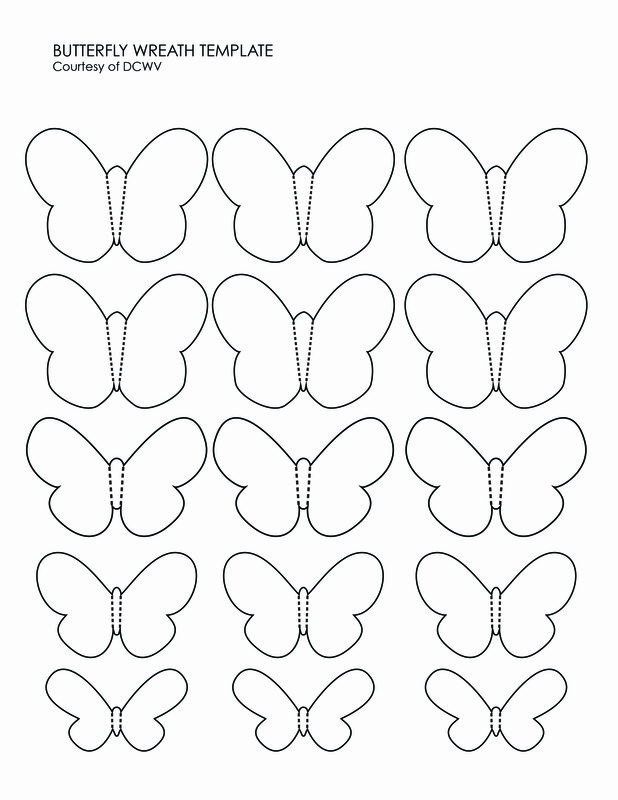 Score and fold each butterfly on either side of the body. Arrange the butterflies to create a gradient effect. 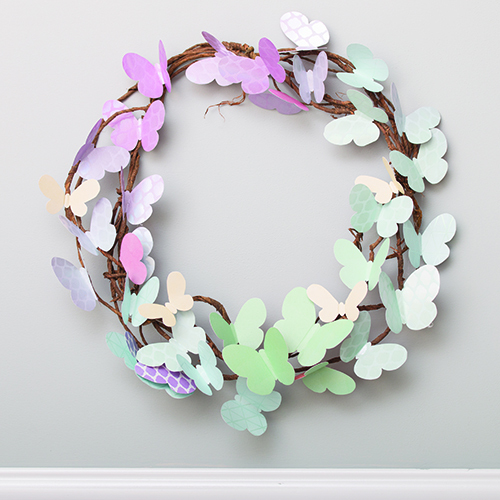 Hot glue the butterflies onto the wire wreath. Tired of spring cleaning? Try spring crafting!